Congratulations to Monroe Elementary School in Hinsdale for being designated as a 2018 U.S. Green Ribbon School! Monroe is one of only 46 schools across the country to receive the 2018 award, and the only elementary school in Illinois. 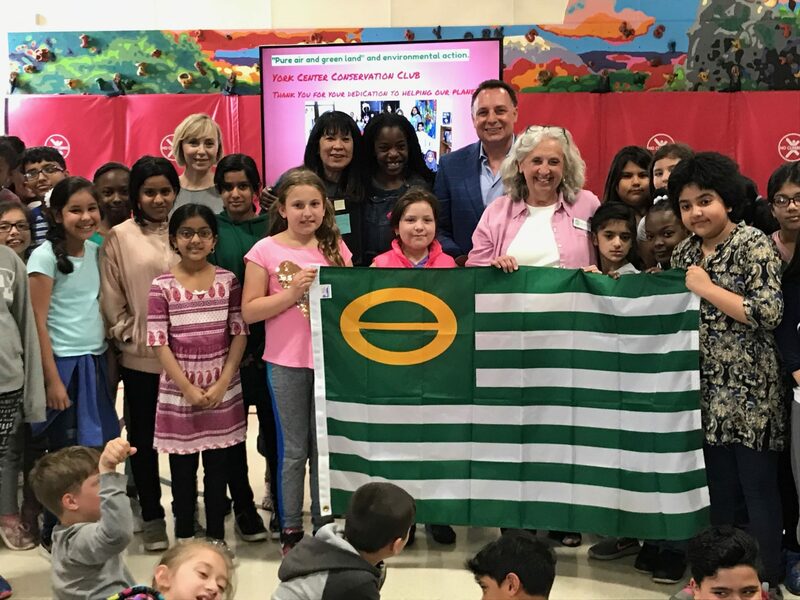 The U.S. Green Ribbon award honors schools that actively work to reduce their environmental impact, improve the health of their learning environments, and provide comprehensive environmental and sustainability education. 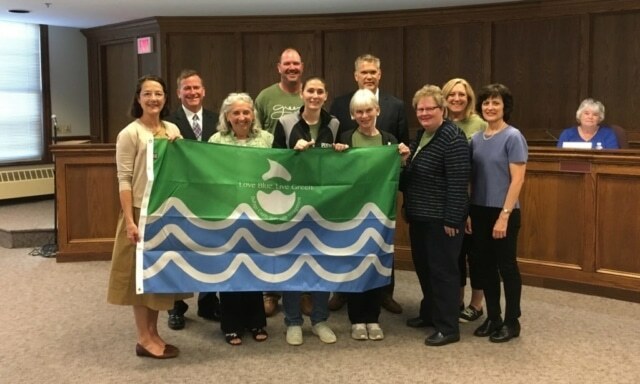 SCARCE is proud to have worked with Monroe’s enthusiastic staff, students, and parents on programs that helped them to earn the award including setting up composting in the lunchroom, earning their Water Quality Flag, earning and re-certifying their Earth Flag. Kudos to you Monroe and great work! Wow what a month for water! 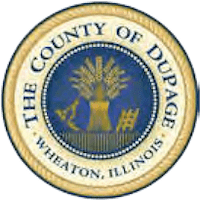 SCARCE is so proud of these organizations that have stepped up to help protect our water resources here in DuPage County. Water Quality Flags were presented to Henry Puffer School (Downers Grove SD58), Stevenson Elementary School (Villa Park SD45), Schafer Elementary School (Lombard SD45), and the Wheaton Park District. 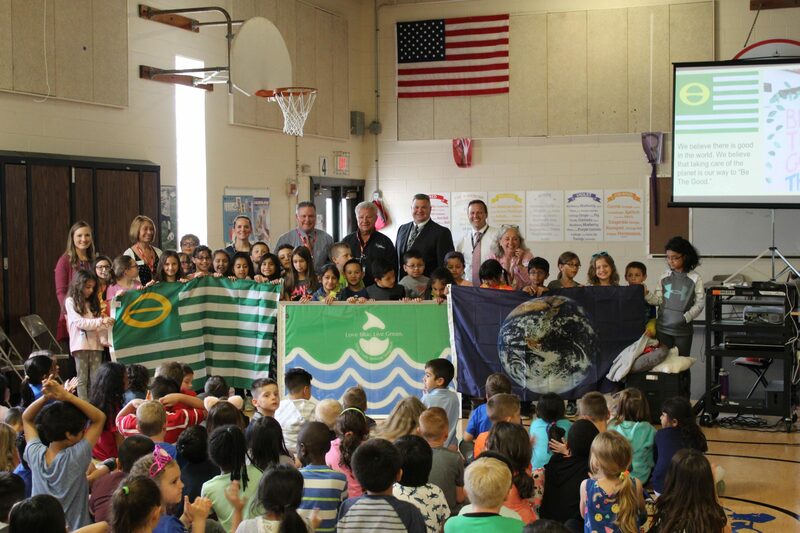 York Center Elementary School in Lombard and Roy DeShane Elementary School in Carol Stream were each awarded an Ecology Flag in May. 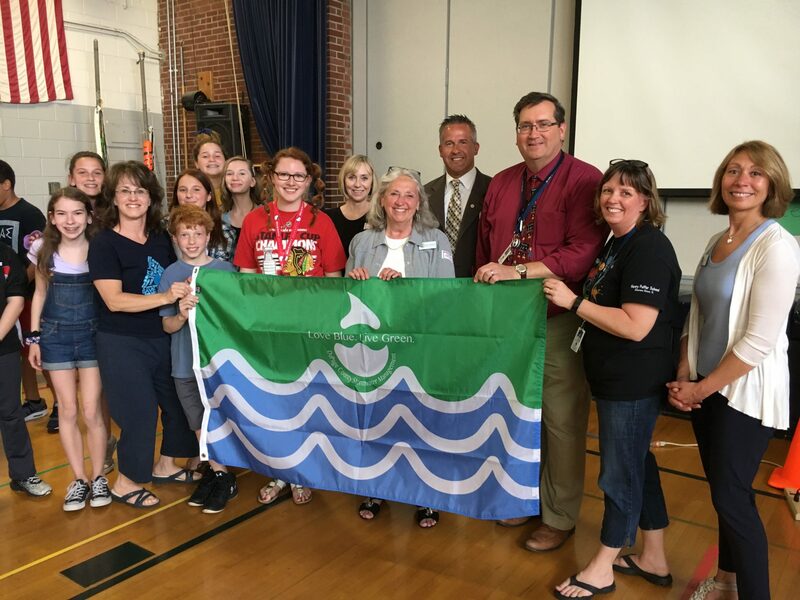 As part of their efforts, York Center School traded out plastic straws for compostable ones and added a sharing table to reduce cafeteria food waste. 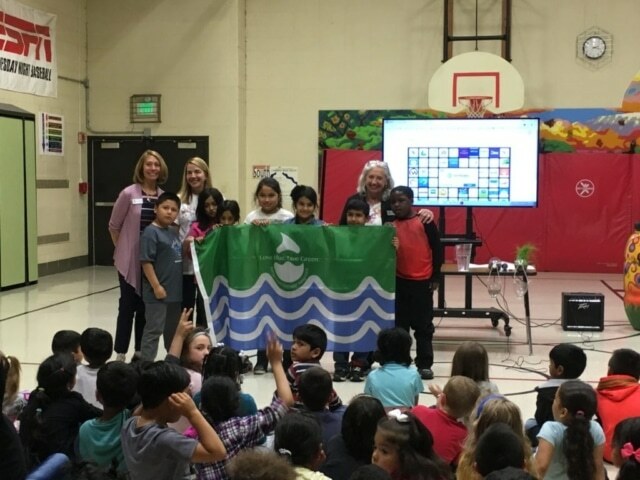 When Roy DeShane School was awarded their Ecology Flag they celebrated having earned all three flags that SCARCE and DuPage County offer. 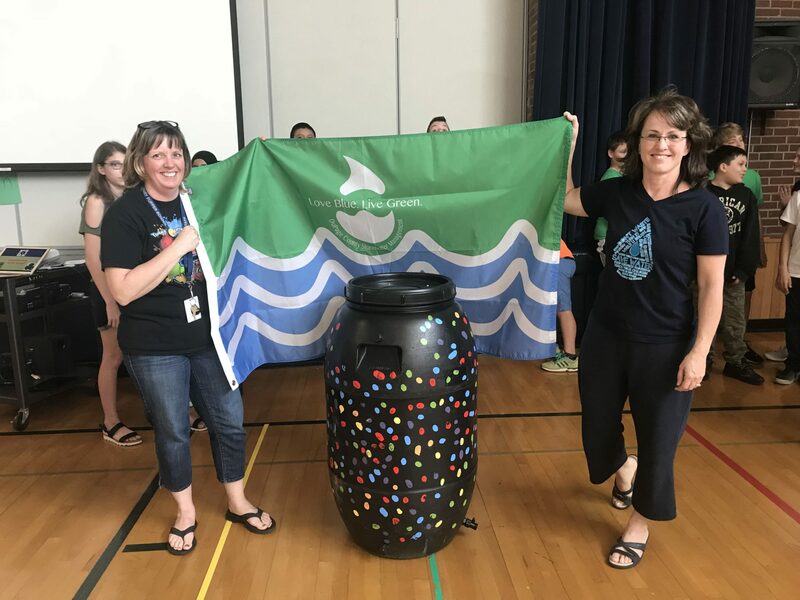 Among their efforts for the Ecology Flag, they added food scrap composting to their lunchroom and hosted a litter clean-up at school. Awesome work! 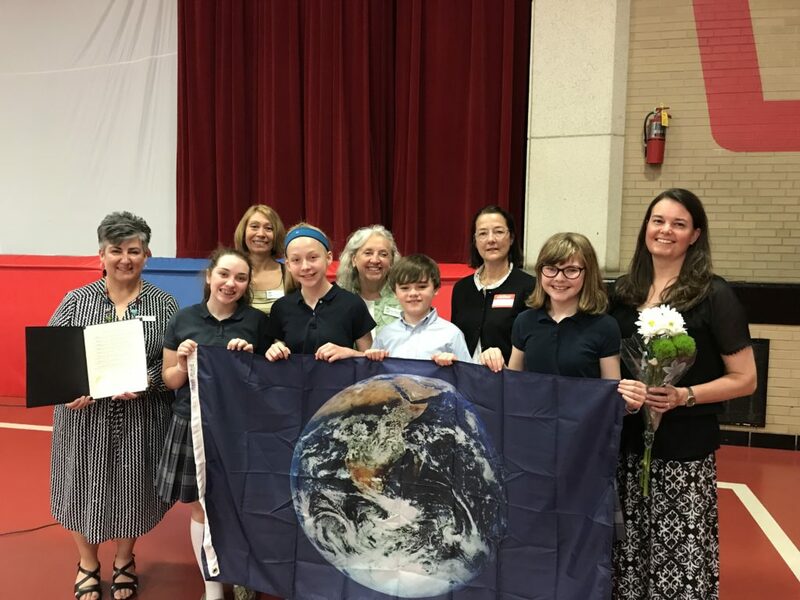 St. Joan of Arc Parish School re-certified their Earth Flag over the 2017-2018 school year. Students and staff all received updated education on recycling and environmental efforts got a jolt of enthusiasm. St. Joan provides comprehensive recycling programs and composts fruit and vegetable scraps from the lunchroom using a worm composting bin. 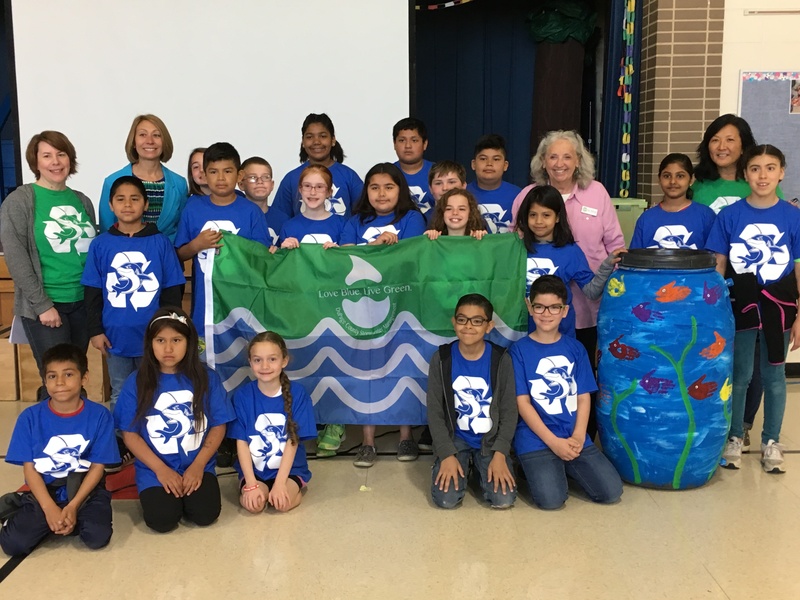 Young students got to participate in extra lessons and activities on recycling and older students did research and hands-on activities on oil spills and their environmental impacts. Way to stay committed to your green roots! County Board member Amy Grant (district 4, DuPage County Environmental Committee chair) helped present the Earth Flag to St. Joan of Arc School.